Starbreeze AB, an independent creator, publisher and distributor of high quality entertainment products, today at VRLA Winter Expo announced its intention to establish a VR arcade venue in Los Angeles, named Project StarCade. Aiming to make premium VR experiences accessible for the masses, Starbreeze will create a StarVR powered arcade hall, where VR enthusiasts and novices alike are welcome to experience the exciting technology in an immersive setting. The Project StarCade initiative will premiere during the spring/summer of 2016 in a yet undisclosed location. Further information regarding available tools for devs wishing to participate in the initiative, exact location and premiere dates will be announced at a later date. The 2016 VRLA Winter Expo takes place Saturday, January 23 at the Los Angeles Convention Center. Starbreeze will be on location with the OVERKILL’S The Walking Dead RV showcasing it’s StarVR HMD. Starbreeze AB is an independent creator, publisher and distributor of high quality entertainment products. With studios in Stockholm, Paris and Los Angeles, the company creates games by own design and through licensed content, aiming to create franchises that prosper as games and elsewhere. We live and die by gameplay. Starbreeze’s most recent games include PAYDAY 2, the adrenaline fueled bank robbing co-op game and the upcoming survival co-op FPS OVERKILL’s The Walking Dead based on the hit comic series. Starbreeze is pioneering digital self-publishing, inviting developers to leverage its self-publishing knowhow on Steam, having one of the largest communities on the digital distribution platform. 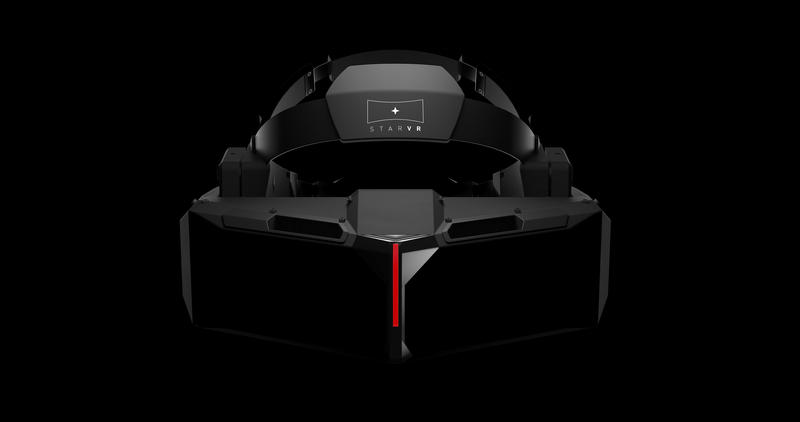 Next, Starbreeze is set to develop truly immersive virtual reality experiences, integrating software and hardware in the Project StarVR and the StarVR head mounted display. Headquartered in Stockholm, Sweden, Starbreeze’s shares are listed on Nasdaq Stockholm First North Premier under the tickers STAR A and STAR B with the ISIN-codes SE0007158928 (A-share) and SE0005992831 (B-share). Remium Nordic is the company’s Certified Adviser. For more information, please visit https://www.starbreeze.com.